What are some of the Varieties of Winter Squash? There are many varieties of winter squash, but they all can be grown using the same methods. Having grown your own winter squash adds satisfaction when you make hearty homemade baked squash recipes.What are some of these varieties? Winter squashes often take longer than summer squashes do to reach maturity, so remember to pay attention to this before planting seeds. Most winter squash are vining squash varieties although some bush types do exist. Winter squash comes in a wide variety of cultivars in all sizes and flavors.All winter squash includes butternut, acorn, Hubbard, banana buttercup, turban and spaghetti squash are grown the same way. 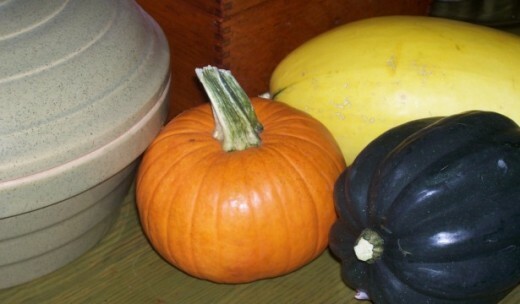 Most winter squash require between 75 and 120 days until maturity. How Does Winter Squash Differ From Summer Squash? Winter squash differs from summer squash in that winter squash keeps longer and should be harvested only after the outer skin becomes tough. It is more nutritious than summer squash, but since most are vining plants, they require a lot of space. Plant in Late Spring after all danger of frost is past. Winter squash should be planted in hills, but the term "hills" is a misnomer because in some cases, it better to plant in a depression rather that a raised area. Although it is true that in cooler wetter climates, a raised hill is a good strategy for lifting the planting area out of a cold damp condition, in some areas where rain is infrequent, planting winter squash in a depression rather than a raised hill can help direct irrigation waters toward the plants roots. Although winter squash prefers full sun, winter squash can tolerate some shade. Plant winter squash a week after all danger of frost is past. Space your hills six to eight feet apart. If planning to save seeds, separate cultivars by at least fifty yards. Dig holes three inches deep, and add well-aged compost to the planting hole. plant six seeds water well, and cover with another half inch of compost. Again, water well. Once squash has germinated, thin plants to the strongest two per hill. 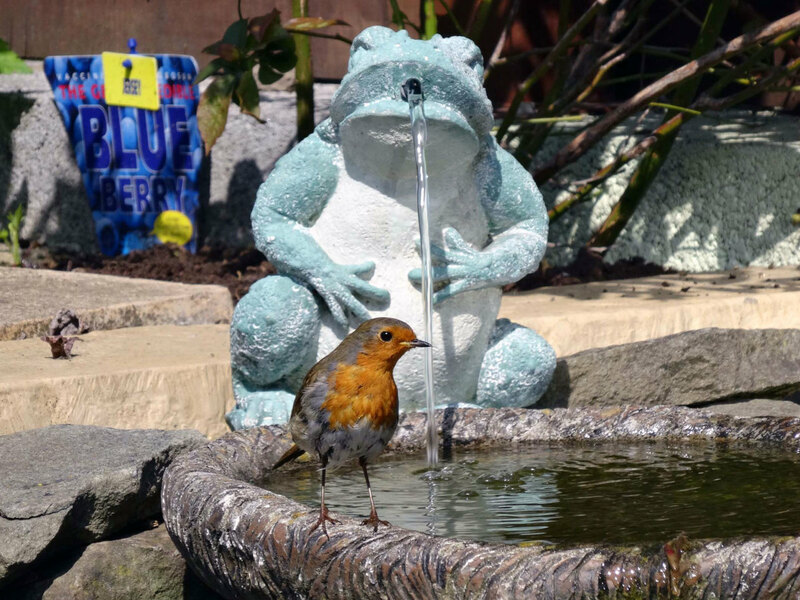 Provide seedlings with plenty of water and keep the area well watered throughout the growing season. Water plants in the morning rather than the evening and do not handle plants when wet to avoid spreading plant diseases. Apply thick layer of mulch around plants to keep weeds down and to maintain moisture in the soil. About four weeks before first frost, begin pinching off blossoms so that the squash that have set can finish maturing before frost. Winter squash has few pests, but one that may be an issue is the squash vine borer. They tunnel into the stems and cause the leaves to wilt. By this time, it is too late to do anything about the squash vine borer, so keep an eye out for entrance holes surrounded by a yellow sawdust-like substance. If you see this, cut the stem with a sharp knife and remove the larvae inside. Next, hill up around the stem wounds so that the plant can reroot. Take special attention to make certain that the area remains well watered. Other insect may chew on plant leaves, so if this becomes a problem, either dust with wood ashes or diatomaceous earth. As with most vegetables, you can avoid diseases in the garden by rotating winter squash so that it does not grow in the same location two years in a row and by cleaning up plant debris at the end of the gardening season and adding it to the compost pile. Harvest Winter squash only after the squash is fully ripened or the squash will taste bland and watery. It also will not store well. Wait until your plants die back and the shells are hard. Pick ripe fruits before expected frost. Cover unripe ones with mulch during light frost and then with blankets, sheets or tarps. Harvest during dry weather. Use a sharp knife to cut the squash from the vine leaving 3-4 inches of stem on the squash. Squash pulled from the vines can be damaged where the stem connects with the squash and may cause the squash to rot. Eat any stemless squash as soon as possible. Do not wash any squash that you intend to store. Dry squash in the sun until the stems shrivel and turn gray. The only exception is the acorn squash. If mildew is likely to be a problem in your area, wipe fruits with a solution of 1:9 chlorine bleach and water. Dry and rub with vegetable oil. This will prevent the mildew. Acorn squash is baked in the oven with a pat of butter and a little brown sugar is one way to serve acorn squash, but with this stuffing of wild rice, pecans, and cranberries, it's a dish that will quickly become a family favorite. The rice mixture can be made ahead and kept refrigerated in an airtight container for up to two days. Put the squash cut-side up on a baking sheet, brush 1 tablespoon of the melted butter over the tops and insides of the squash halves, sprinkle with the brown sugar, and season with salt and pepper. Roast in the oven for about 25 to 30 minutes until tender. While the squash is baking, place one tablespoon of the melted butter in a large frying pan over medium heat. When it is melted, add the onion, shallots, and celery, season with salt and pepper, and stir to coat. Stir and cook until vegetables are transparent (about six minutes). Add thyme and cook for about 1 minute. Remove from the heat and add the rice, pecans, cranberries, and measured salt and pepper. Divide the rice mixture among the roasted squash halves (about 1/2 cup for each) and drizzle the remaining tablespoon of butter over top of each. Finish roasting in the oven until the edges of the squash start to brown. This will take about 20 to 25 minutes. Serve stuffed squash while still hot. Good as a side dish for pork or chicken or served as a vegetarian meal by itself. You're welcome, Kate! I am happy to answer any questions that you might have! THANK YOU! This is great to know. We were so surprised last year. Some of the extraordinary squash were fun, but we were also a bit disappointed that we didn't get our 'true' squash varieties. Yes, Kate, I have. Squash is pollinated by bees. To prevent cross-pollination, you need to keep your varieties 50 yards away from one another. It also helps to have other flowering plants between the varieties as well such as flowering herbs. Does that make sense?